Today, the average U.S. farmer feeds 155 people. In 1960, a farmer fed just 26 people. Bryant Agricultural Enterprise is a third generation family farm located in Washington Court House, Ohio. Annual commodity production consists of corn, soybeans, and wheat. We strive to produce the highest yields possible, while utilizing superior land stewardship practices which will help to ensure land productivity for future generations. In order to create a profitable return for our landowners, we utilize the most cutting-edge technology, agronomics and environmental practices available. Bryant Ag Enterprise continuously strives to maximize our operating efficiencies to help us make the most precise environmental and economical decisions for optimal crop production. 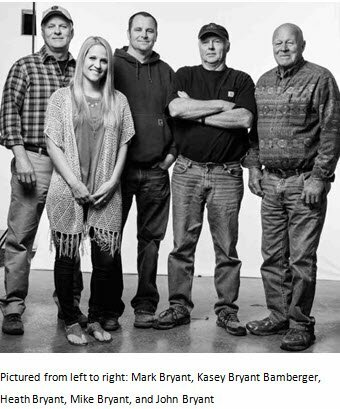 We believe in strong family, landowner and employee relationships knowing they all go hand in hand. Commitment to working together as one big family in growing a successful farming operation has given us the ability to not only build long lasting relationships with individuals from our past, but also to cultivate new relationships with individuals in the future. Family values are what Bryant Agriculture Enterprise takes pride in most with continuing the family farm tradition from generation to generation. We’re telling the story of this storied farm through the eyes of Kasey Bryant Bamberger, the 3rdgeneration to be a part of the farm. During The Great Depression, Albert and Margaret Bryant purchased a 258 acre farm located in Washington Court House, Ohio that was passed down to their son, John Bryant in 1958. John pursued his career in farming and expanded the operation to make room for his sons, Mike and Mark Bryant, who would eventually take over. Little did John know that one day this farm he put all of his hard work into would become Bryant Agriculture Enterprise. Having the same goals as their parents did in treating everyone that works for them or with them as part of their family was what Mike and Mark Bryant wanted to achieve for their operation. Mark’s daughter, Kasey Bryant Bamberger, a 3rdgeneration farmer at Bryant Agriculture, felt that their foundation of honesty, integrity and hard work that has stayed the same through the years helped pave the way for her and her cousin, Heath Bryant, Mike Bryant’s son, to start to take the reigns. Growing up on the farm allowed Kasey Bryant Bamberger to have many fond memories and attachments. One of Kasey’s fondest memories was during harvest season when her mom would prepare dinner for everyone that was spending countless hours in the field. Once dinner was ready everyone would come up to the house, sit and eat dinner together. When harvesting moved further away from the house, Kasey, her mom, and sisters would pack up the food and deliver it to everyone working out in the field. Even with the growth in acreage and employees over the years, it’s a tradition that is still going strong every night during harvest season. Through the years, Kasey has always been hands on at the operation and likes to run the equipment. She recently started helping plant wheat and beans. Her favorite piece of equipment is their drill and while being comfortable working the smaller planter, she hopes to one day work her way up to the bigger equipment. With all of the work being done in the fields, you can typically find Kasey these days in the office or in meetings but there are very few days where she’s doing the same thing. She’s a jack of all trades in the office with managing the budget, handling the billing; crop insurance reporting, work administration, managing the office staff, and using data management programs such as Granular Ag to keep the farm running. She says that Bryant Agriculture relies heavily on technology to help run their operation. From the equipment to the data management, they know in order to be efficient they must use the most cutting edge technology to help make the best decisions. 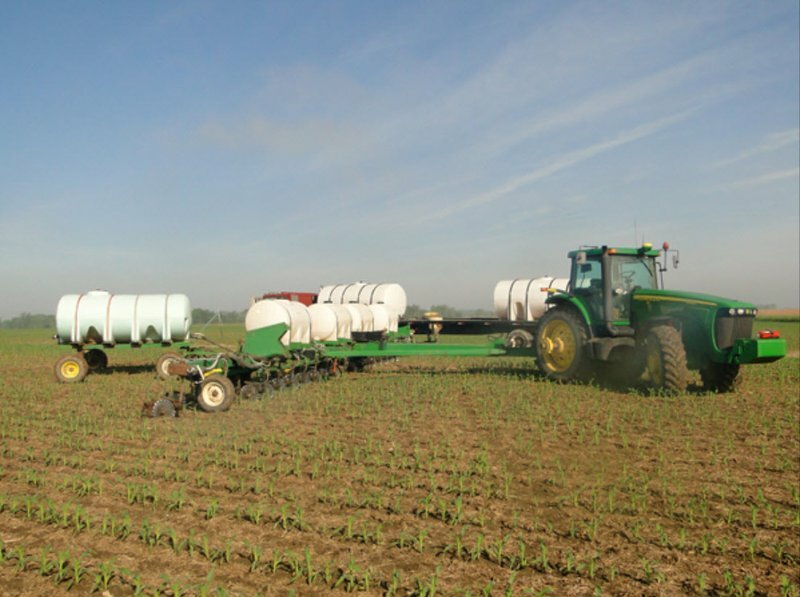 With the ever-changing Ag industry, they have adapted data management into their practices. Kasey uses Granular Ag’s software program to better manage their operation by capturing inputs and work done on a particular field giving them the capability to manage from a field level. Capturing as much data as possible has allowed them to make good decisions for the future of the operation. Even though Kasey does many different jobs at Bryant Agriculture the one thing she enjoys the most about the operation isn’t the land or the equipment; it’s the people. Everyone that is involved with the operation are truly some of the most genuine and hardworking people she’s met. While she knows she’s still young in her career, she gains pride and respect every day by a number of contacts that have been willing to help teach her different aspects of the industry. “If you are involved in Ag and you want to develop as an individual, there are countless amounts of knowledgeable people that are willing to help,” Kasey says. Bryant Agriculture is a family farm but they always make sure to do their best in separating family and business when it comes to moving forward as an operation and that is why forward thinking and communication are so important. They know in order to keep the operation going they have to do what is best for the operation. At times, it can make for some tough conversations but the best mode of action is open communication with all of the family members, those that are involved and those that aren’t involved with the operation. They want to be transparent with everyone and the future goals and plans they have for the farm. Whether it’s an agronomic decision or succession planning, no conversation is too big or too small to have. Seeking outside expertise also helps with creating a network of knowledgeable people to allow them to prepare for what’s to come. Kasey and her cousin, Heath want to continue to learn, grow, and gain knowledge from those that have been in the industry for many years. They feel that with a great support team, they are able to learn from them and also hope to continue to relieve some of the day to day tasks from their fathers and allow them to enjoy life a little more. Their fathers worked hard for it and Kasey and Heath know their great grandparents would be proud of what has become of the land. 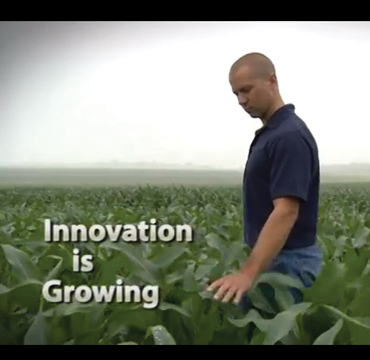 Check out more of Big Ag's Heritage Series in Ag News. Our team member spotlight of the day today is Jomi Ward. Often times when thinking of an employee on a farm you picture someone that works directly in the field. Our Bryant Ag team knows and recognizes what a huge role our office staff plays. After working at Precision Toya of Ohio for 32 years, Jomi joined the Bryant Ag team in October 2009. Since that October, she has spent each day making all of our lives a little easier. From billing, to grain records, equipment records, to keeping intercompany financial records and always lending a listening ear, there is no task too big or too small for Jomi. When asked what her favorite part about her job was she stated, “I work with people that genuinely care about one another. It is wonderful to be part of something more than just a job. We are all friends and family here and work hard to get a job done but also have a little fun." Outside of work, Jomi LOVES playing cheerleader from the bleachers at her sons’ baseball games. She enjoys traveling, but most of all spending time with her husband and boys. Thank you Jomi for playing such a special role on our team! You truly juggle so many tasks at once but are never too busy to take time for someone else! We are beyond grateful for you! - To keep up with population growth, more food will have to be produced in the next 50 years as the past 10,000 years combined. - Today, the average U.S. farmer feeds 155 people. In 1960, a farmer fed just 26 people. - Today’s farmer grows twice as much food as his parents did – using less land, energy, water and fewer emissions. - American farmers ship more than $100 billion of their crops and products to many nations. - U.S. farmers produce about 40 percent of the world’s corn, using only 20 percent of the total area harvested in the world. - Farmers are a direct lifeline to more than 24 million U.S. jobs in all kinds of industries. - In the past five years, U.S. farm operators have become more demographically diverse. The 2007 census counted nearly 30 percent more women as principal farm operators. The county of Hispanic operators grew by 10 percent, and the counts of American Indian, Asian and African-American farm operators increased as well. - Ohio is the 6th leading producer of corn in the U.S.
- One bushel of corn is 56 pounds. That means U.S. farmers produce an average of more than 9,000 pounds of corn per acre. - If U.S. farmers used crop production practices from 1931 to produce an amount of corn equivalent to the 2008 crop, it would require 490 million acres – an area more than 120 million acres larger than the state of Alaska. - The U.S. produces about 40 percent of the world’s corn – using only 20 percent of the total area harvested in the world. - Individuals or families own 82 percent of corn farms. Another 6 percent are family-held corporations. - Less than 15 percent of U.S. corn acres are irrigated. - Farmers today produce 70 percent more corn per pound of fertilizer than as recently as the 1970s. - Corn farmers have reduced total fertilizer use by 10 percent since 1980. - According to the USDA, once acre of corn … removes about 8 tons of carbon dioxide from the air in a growing season … at 180 bushels per acre produces enough oxygen to supply a year’s needs for 131 people. - Corn production has marched steadily upward for decades while using fewer acres. - Farmers today grow five times as much corn as they did in the 1930s – on 20 percent less land. That is still 13 million acres, or 20,000 square miles, twice the size of Massachusetts. - Farmers in more than 30 U.S. states grow soybeans, making soybeans the country’s second-largest crop in cash sales and the number one value crop export. - Total value of the U.S. soybean crop was more than $43 billion in 2012 with production being 3.015 billion bushels. - The U.S. exported 1.345 billion bushels of soybeans, or about 45% of total production in 2012. - U.S. soybean farmers planted 77.2 million acres in 2012 which is an increase of 2.2 million acres over 2011. - The U.S. was second to Brazil in soybean production. - Soybeans represented 57% of the world's oilseed production. - The soybean in the highest natural source of dietary fiber. - The livestock industry is the largest consumer of soy meal. - A 60-pound bushel of soybeans yields about 48 pounds of protein-rich mean and 11 pounds of oil. - Each soybean plant produces 60 to 80 pods, each holding three pea-sized beans.